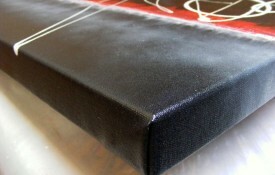 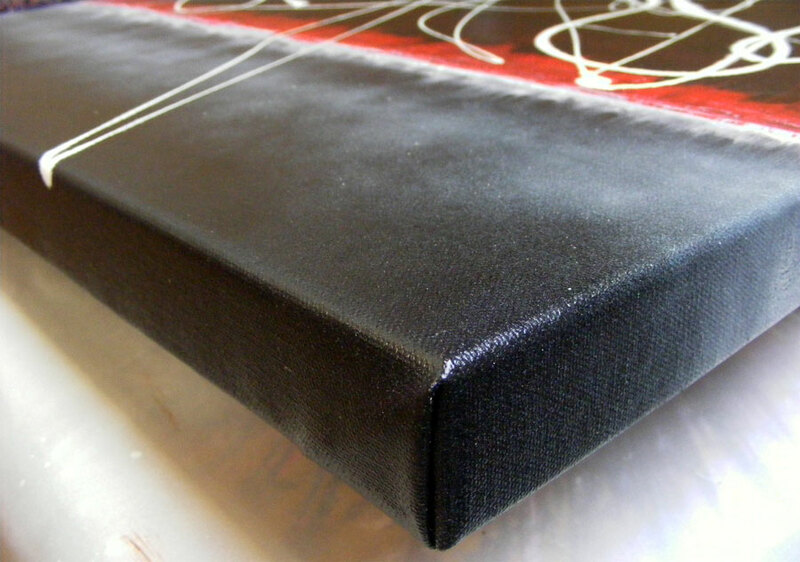 Mediums : Oils, Enamel and Resin on triple primed artist quality heavyweight canvas and gallery wrapped. 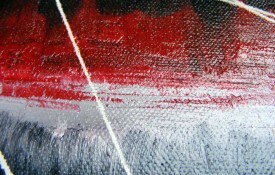 Stenographic Reflection of Spirit is an original abstract oil painting inspired by author Wilbur Smiths book “The Quest”. 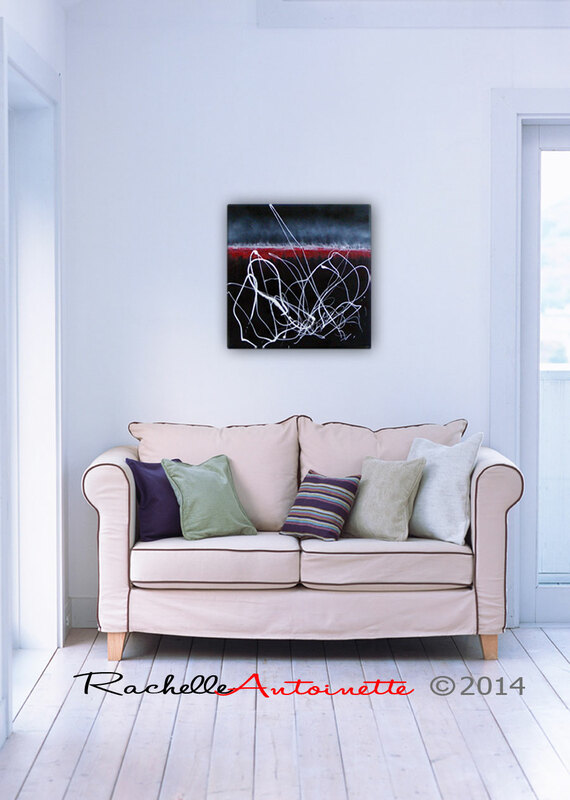 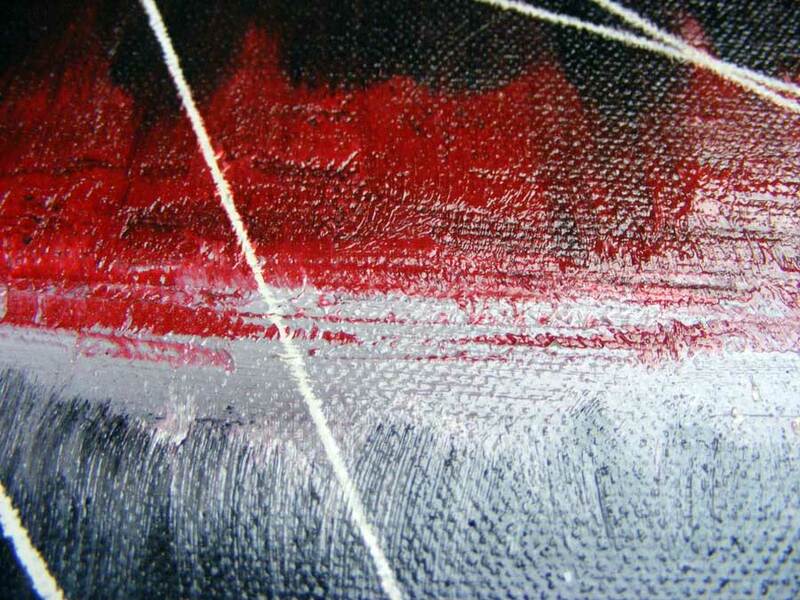 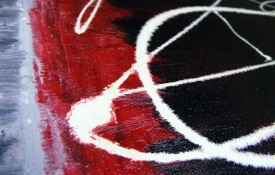 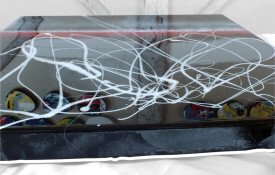 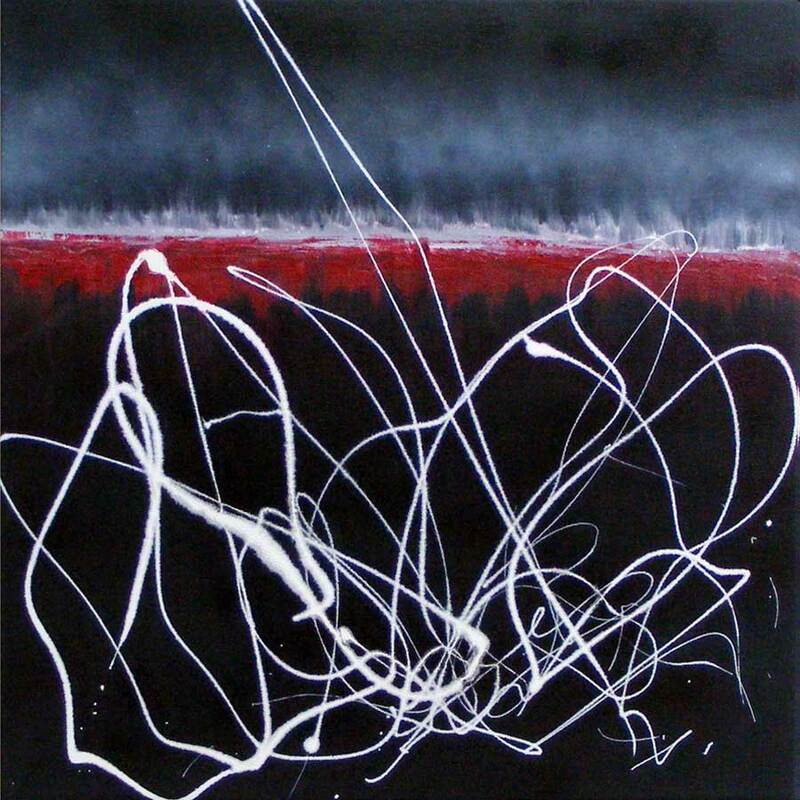 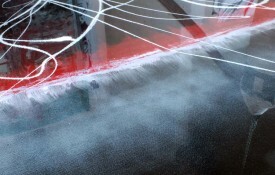 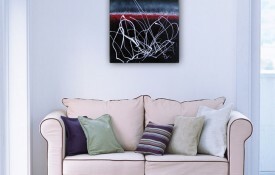 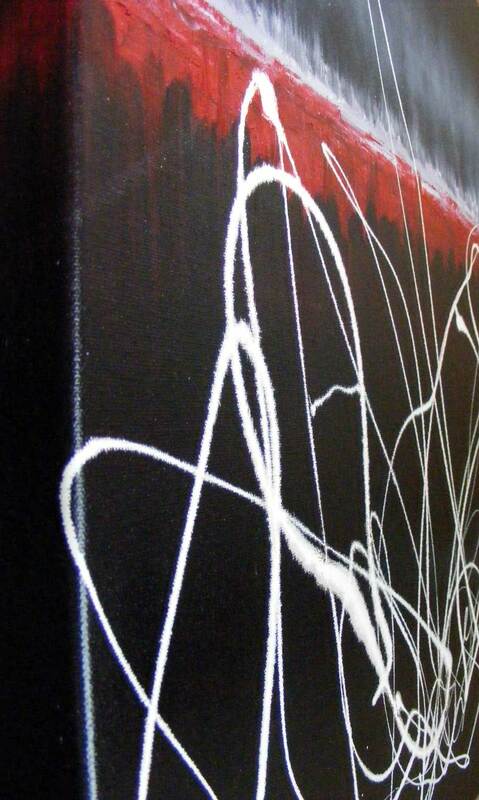 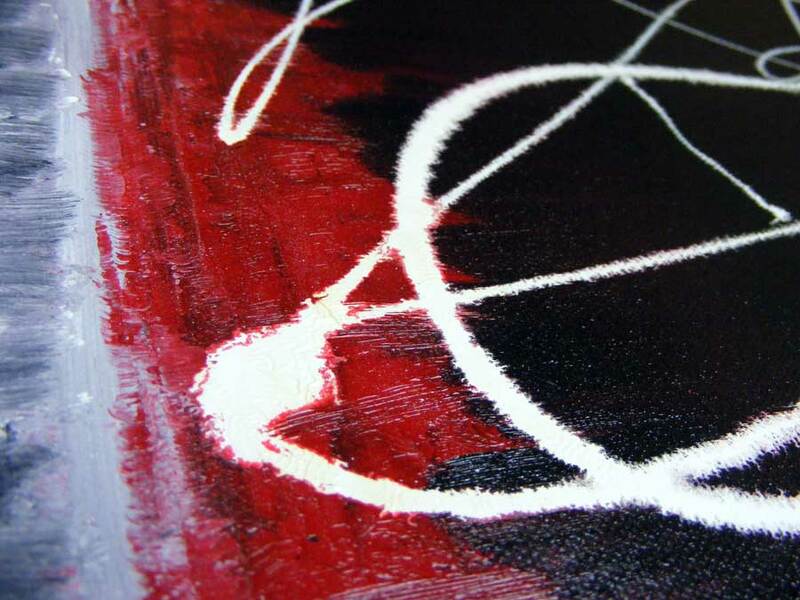 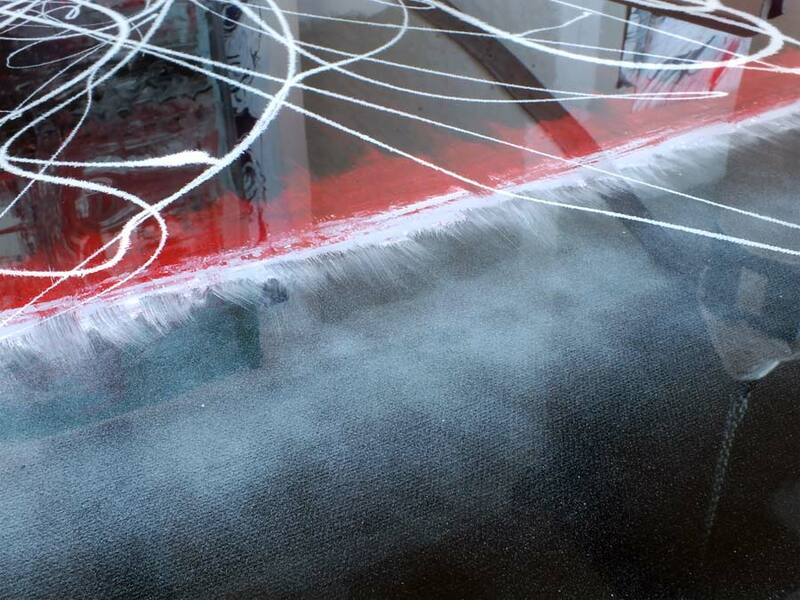 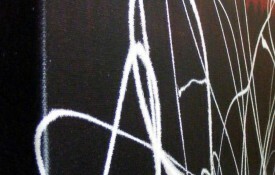 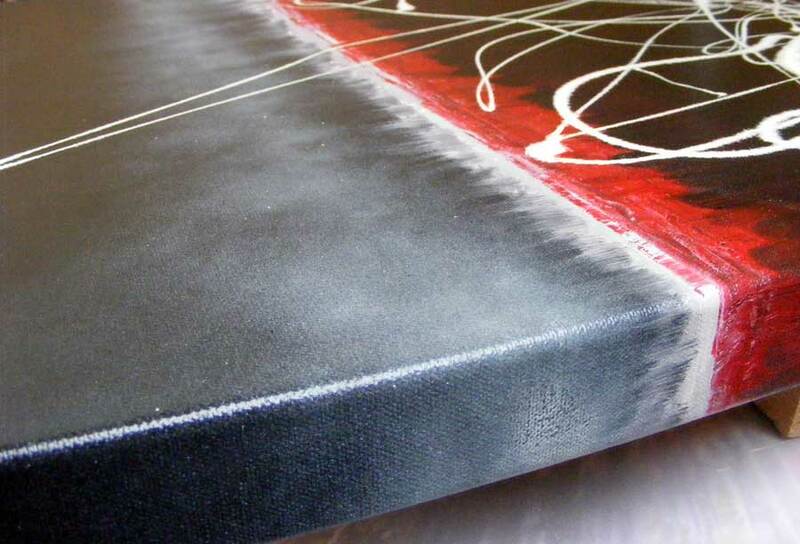 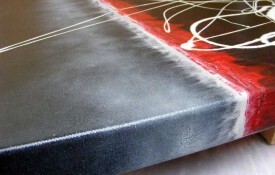 Created on canvas this work of art is achieved by blending, texturising and free flow use of black, red and white paints resulting in a striking piece capable of dominating any contemporary space of your choosing. 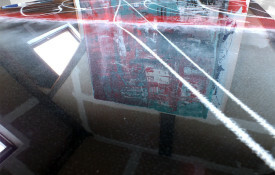 Stenographic Reflection of Spirit is an incredibly high shine reflective painting, which makes for a great challenge when it comes to photographing! 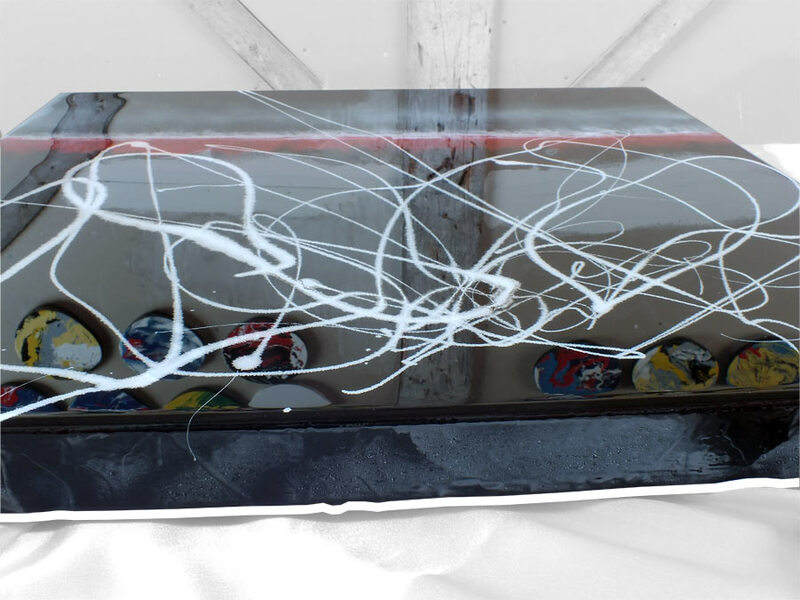 Above are images prior to adding three resin coatings allowing you to view this art without the distraction of any reflection. 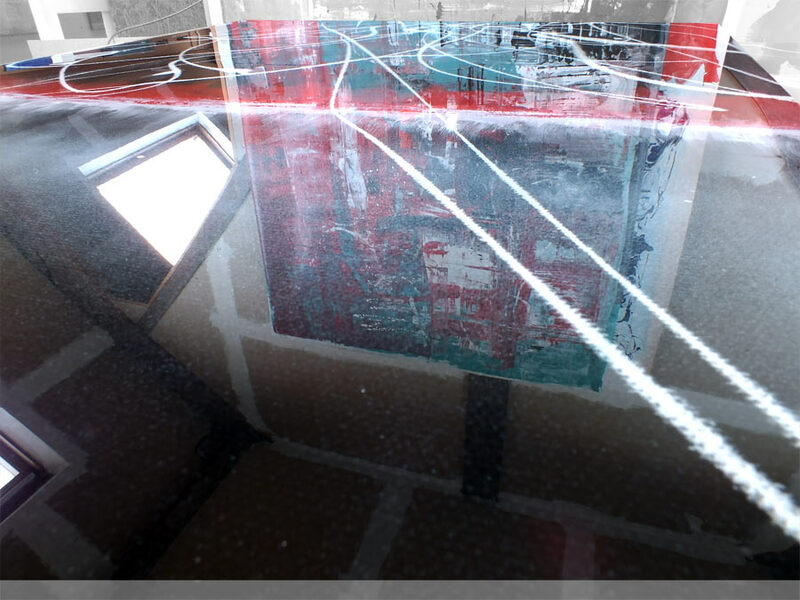 Below are when the process has been completed showing how reflective this painting is, the mirror effect bounces the images of my studio and other art on the walls!